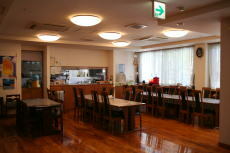 We serve breakfast and dinner at dining hall. We have a mini beer keg and tap f Orion. You can taste draft beer anytime. The hall next to dining area. 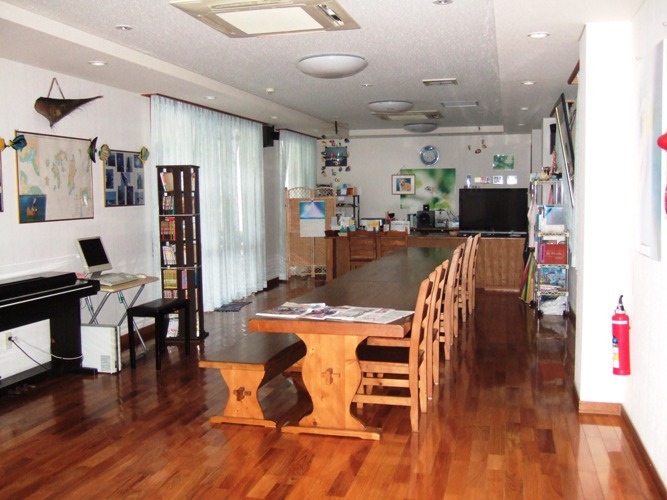 You can watch DVD at this hall during typhoon. Toothbrush, razor, public hair dryer are available here. You can access from both inside and outside. 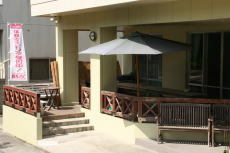 The shade appears and cozy winds breeze from afternoon, you can relax here. Smoking is prohibited on the 1st floor. 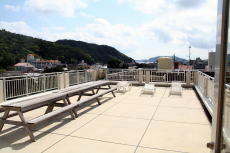 Please smoke at this terrace. 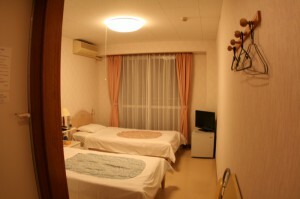 All rooms on the 2nd floor is furnished with TV, refrigerator, and AC. 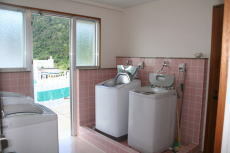 Each room has own bath and toilet. 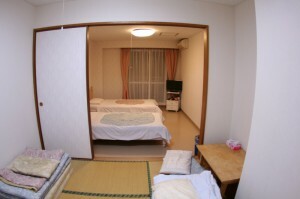 3 rooms, for 2-3 people. 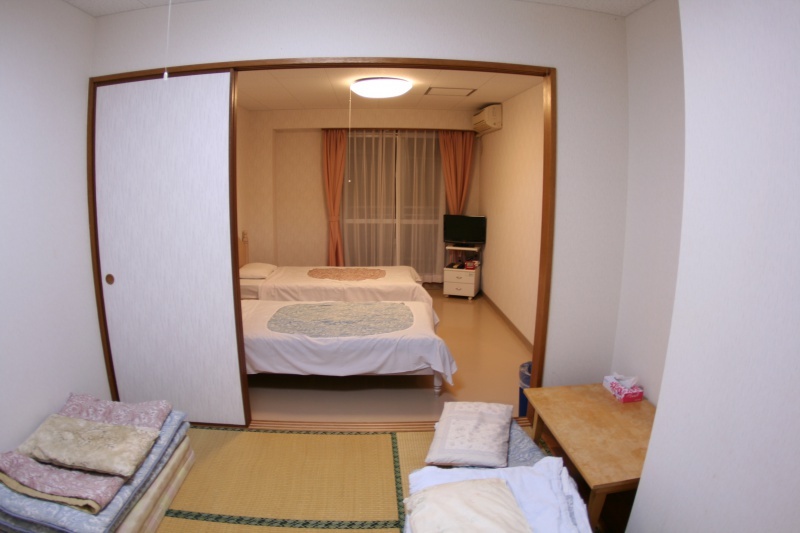 1 room, for 4-5 people. ・In preference to small group. 1 room, for 6-7 people. There are two entrances. 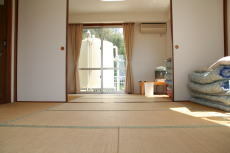 You can divide into two rooms by the sliding door. 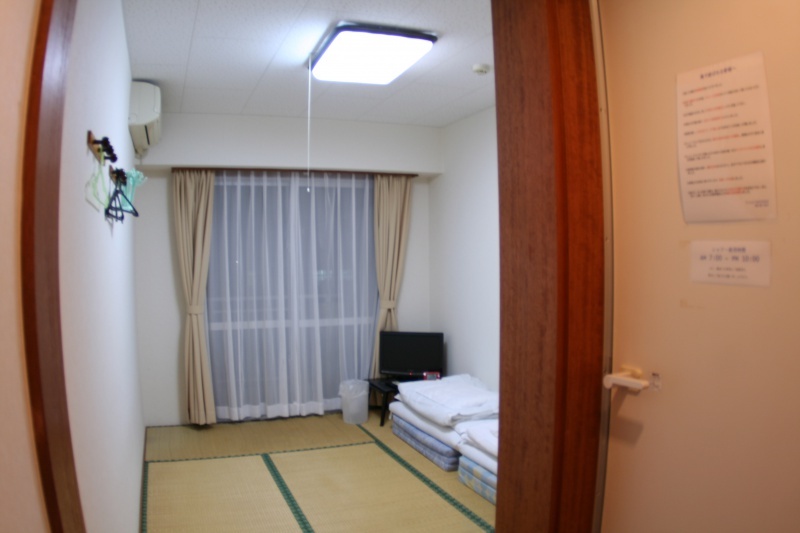 Shower, toilet, and refrigerator are available at the outside of the room. TV and AC is furnished. You can view beautiful moon and a lot of starts in the night. In summer time, you can watch shooting starts and the Milky Way. 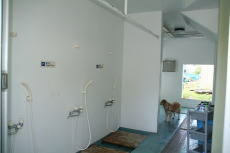 You can use laundry room for free. Your clothes dry up quickly if it’s good weather. You can decrease the volume of your baggage. We sell laundry soap 50 yen/pack. You can use the shower after you come back from the beach or diving. You can enter your room (on the 2nd floor) from outside stairs. 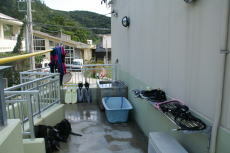 It’s located the upper part of outside shower and at the open-space in the middle of outside stairs. Close to your room, so it’s easy to pack your equipments.